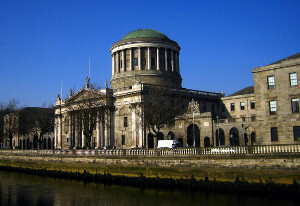 A man who was refused permission to land at Dublin Airport based on the finding by an immigration officer that he was coming to Ireland to enter a “marriage of convenience” has been refused all reliefs sought in the High Court. Finding that the Oireachtas clearly contemplated that a search done pursuant to section 7 of the Immigration Act 2004 would embrace removing an electronic device on the non-national’s person and reading the data contained, Mr Justice Max Barrett was satisfied that sufficient reasons were given for the decision and no irrelevant considerations were taken into account by the immigration officer. Mr Moeen Akram, a national of Pakistan, arrived at Dublin Airport in October 2017. Mr Akram had a travel visa and said that he was coming to Ireland to visit his brother. After being interviewed by an airport immigration officer, who also reviewed text messages on Mr Akram’s phone, it was concluded that Mr Akram was coming to Ireland to enter into a “marriage of convenience”. Mr Akram was refused permission to land pursuant to s.4(3)(k) of the Immigration Act 2004, which allows for such refusal where “there is reason to believe that the non-national intends to enter the State for purposes other than those expressed by the non-national”. Thereafter, Mr Akram was held at Cloverhill Prison, and removed from Ireland four days later, on 25 October 2017. The taking of his phone from him and the perusal of the text messages thereon was unlawful. (b) Erred in law and/or took into account irrelevant considerations and/or failed to take into account relevant considerations in the decision to refuse Mr Akram permission to enter the State. The conditions under which Mr Akram was held at Cloverhill breached Art. 5(1) ECHR. Documents, under s.7(3)(c)(iii), includes “any information in non-legible form that is capable of being converted into legible form”, which Mr Justice Barrett said clearly included data found on an electronic device. Mr Justice Barrett also said that the natural meaning to be given to the phrase “search any such non-national” included removing a phone and perusing its contents. As such, Mr Justice Barrett was satisfied that the Oireachtas clearly contemplated that a search done pursuant to s.7(3)(b) would embrace removing an electronic device on the non-national’s person and reading the data contained. Considering the complaint that inadequate reasons were provided to Mr Akram when admission was refused, Mr Justice Barrett was satisfied that the impugned notice was adequate to inform Mr Akram of the reason why he was refused permission to land (Ejerenwa v Governor of Cloverhill Prison  IESC 41 considered). A court can undertake an informed review. Mr Justice Barrett found that the notebook contained a record of the conversation with Mr Akram, in addition to thoughts and potential/real lines of inquiry arising, and that the impugned text suggested a line of inquiry that occurred to the officer as he proceeded. As such, it was concluded that no irrelevant consideration was taken into account. Mr Justice Barrett was also content that the immigration officer acted reasonably, and rejected the suggestion that people arriving at Dublin Airport on slow days would get fairer procedures than those arriving on busy days. Ultimately, Mr Justice Barrett said, Mr Akram got a decision that was “bona fide…not unreasonable and…factually sustainable” (Ni v Garda Commissioner  IEHC 134). Stating that prison was “doubtless… not pleasant”, Mr Justice Barrett also found that there was “nothing in the evidence to suggest, nor was it especially pressed, that the conditions of Mr Akram’s detention at Cloverhill breached Art. 5(1) ECHR”. Given all of the above, all reliefs sought by Mr Akram were refused.